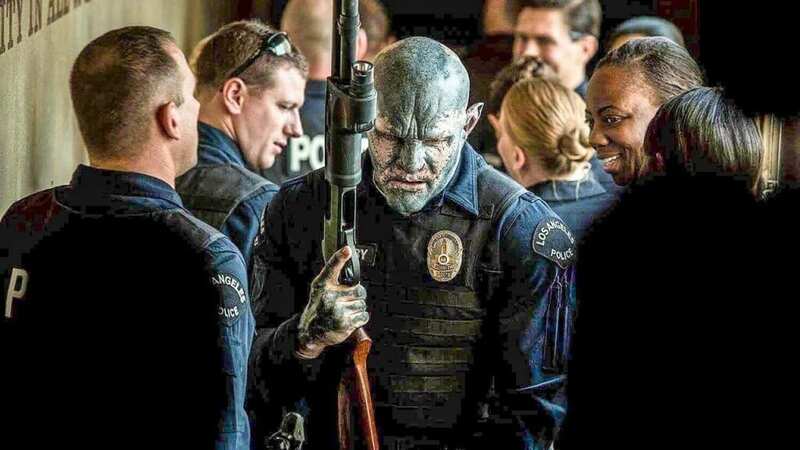 Bright is a fantasy action film directed by David Ayer, with a script by Max Landis. The story follows two cops, Ward and Jakoby, in a world where the fantastical is reality, and has been for thousands of years. Jakoby is the first Orc cop, and Ward doesn’t want to be partnered with one of them, but they must put their differences aside when they stumble upon a magic wand, one of the most powerful objects in their world. Through one bad night on the job, they must protect the wand and the elf who possesses it while figuring out their own issues. From a performance perspective, Bright has a uniformly great cast. Will Smith is the best he’s been in a while in this, and Joel Edgerton steals every scene. Noomi Rapace does a good job with what she is given, and she’s suitably intimidating. Lucy Fry is pretty good as the slightly manic Tikka; her role isn’t a lead, but its definitely a pivotal one, and she impressed me. Edgar Ramirez intrigued me as the lead investigator, Kandomere, chasing down Rapace and the wand, but I wish he had more screentime. I didn’t notice anyone who blatantly stood out as miscast or bad in the film at all. Ayer does a pretty good job directing the proceedings, lending his usual gritty, real world aesthetic to a completely foreign and fantastic universe. Bright definitely has its own look when compared to the rest of Ayer’s filmography. Mixing the very real Los Angeles gangland look with scenes of pure beauty, like the tree in this rundown church the Orcs inhabit or some of the other fantastic parts towards the end. The effects of the magic wand, the living quality it takes on that Ayer showcases, as well and showing its power is so visually interesting. He also captures the action well, for the most part. There’s a really good car chase towards the middle of the film involving Jakoby, Ward, Tikka, and some gang members that really shined. Even in some of the shakier moments, the action still has really solid impact, which is definitely something a lot of action films struggle with nowadays, at least with American action films. One of the shining parts of Bright is the soundtrack. While I’m personally not a big fan of rap/hip hop overall, they definitely built a strong offering here, from artists like Meek Mill, Bastille, Steve Aoki, A$AP Rocky, even Sam Hunt (who I love). There are some great tracks in the film, and a lot of them punctuate great moments better than in Ayer’s previous movie, Suicide Squad. I’ve had “Broken People”, “World Gone Mad”, and especially “Home” on repeat. This is how you use a soundtrack to help your film instead of burying it in a music video aesthetic. 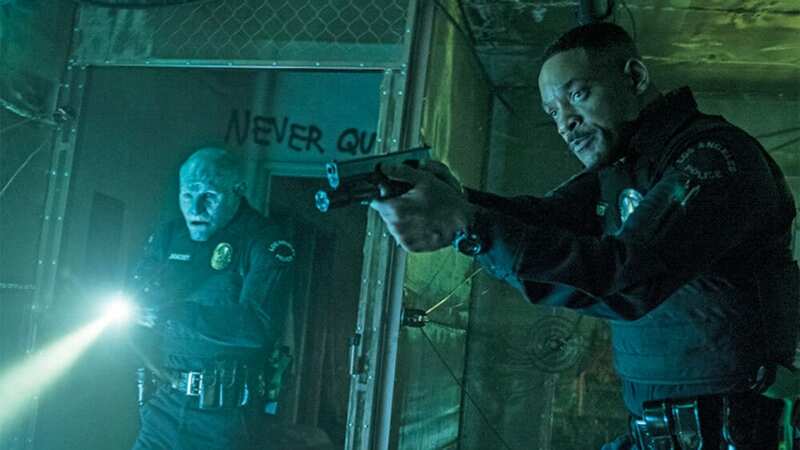 The story in Bright is solid, although it definitely has issues. The base concept is brilliant, melding the fantastic with the real into a truly original fantasy world: two cops, one a human and the other a heavily-discriminated-against Orc, learning to appreciate each other and working together to stop a common enemy; the prototypical magic wand, an item we have seen in a great many fantasy films, being treated as a weapon of mass destruction and even something that could be likened to the One Ring from Lord of the Rings. It’s all intriguing stuff, and I love how it feels lived in; they make mention to things that happened thousands of years prior. It never feels like they’re trying to make the fantastical elements anything more than the usual in this world, aside from the magic wand. It’s not perfect, and at times it feels like some of the events are rushed, almost as if they’ve been truncated a bit. There are also four characters that, at least from what I could tell, flipped allegiances at the snap of a finger. They go from being “normal” (for the world of Bright’s standards) to stabbing Ward and Jakoby in the back at the drop of a hat, so one of the pivotal moments that set the events of the film in motion feels contrived rather than fleshed out. I almost feel like I missed something, but I was definitely paying attention as the events played out and do not remember this change in character being explained. Also, as much as I really enjoyed watching Rapace, she’s not given a lot to do as a villain other than to look intimidating and kill people. She doesn’t have a very good backstory, and her motivations are coherent but not all that inspired, and all that makes for an overall mediocre villain. This leads into perhaps my biggest negative of the film: its runtime. Bright sets out to build this deep world, filled with history and tangible wear and tear. The film succeeds in that, but other aspects that are more integral to thefilm’s story fall by the wayside because of a lack of time. At 120 minutes, this film might be slightly more ambitious than it can handle. Given fifteen or twenty more minutes, we might have gotten a fuller picture on the villain and some of the important aspects about how the wands work in the universe. We also don’t get a really good explanation for what a “Bright” is. Again, maybe I missed it, but I’m pretty sure I was paying close attention. Overall, however, Bright makes up for its narrative shortcomings with sheer entertainment value, two fantastic leads, and one of the most interesting new worlds I’ve seen in a long time. If you have an active Netflix account, I implore you to give this one a shot; you might be as pleasantly surprised as I was. Have you seen Bright? Let me know your thoughts on it in the comment section below! Stay nerdy everyone! Imperfect as it's narrative is, Bright is a promising start to what will hopefully be a great trilogy with a fantastic world and a great lead pair of heroes.